Despite the scoring and record breaking accomplishments by Roger Phegley and Mitchell "J.J." Anderson over the past eight years, Chester Walker will probably still be the name most often mentioned when people talk about Bradley University's greatest basketball player. Coming out of Benton Harbor, Michigan, in 1958, Walker played just three years for Bradley (because freshmen were not allowed to play varsity ball until 1972) but left his mark with a slew of game, season and career records. Among them were his totals for points in one game (50), field goals in one game (20), points as a senior (687), career scoring average (24.4) and, just to show that he was a complete player, career rebounds (1,036). A consensus All-American for two seasons, Walker led the Braves to a 69-14 record in his three seasons which included a Missouri Valley Conference title share in 1962 and an NIT championship in 1960. His 1,975 career points leaves him second on the all-time Bradley charts (behind Phegley's four-year total of 2,064) and he is the only Bradley player in history to score 600 or more points in three straight seasons. 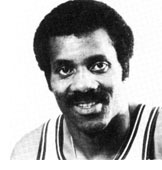 Also high on the career lists of the Missouri Valley Conference (fifth all-time scorer; fifth all-time rebounder), Walker went on to a brilliant pro career with the Philadelphia 76ers (NBA Champions in 1967-68) and Chicago Bulls and ranks very high on the all-time NBA lists for games played, points, minutes and rebounds.